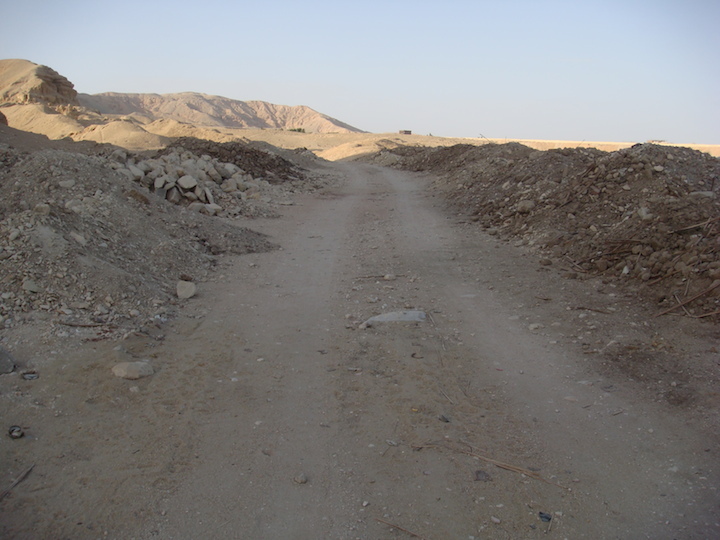 From the beginning of the Kings Valley road you walk up 582 Metres, turn right where there is a track, walk a further 946 Metres to cover all the quarry galleries and caves. 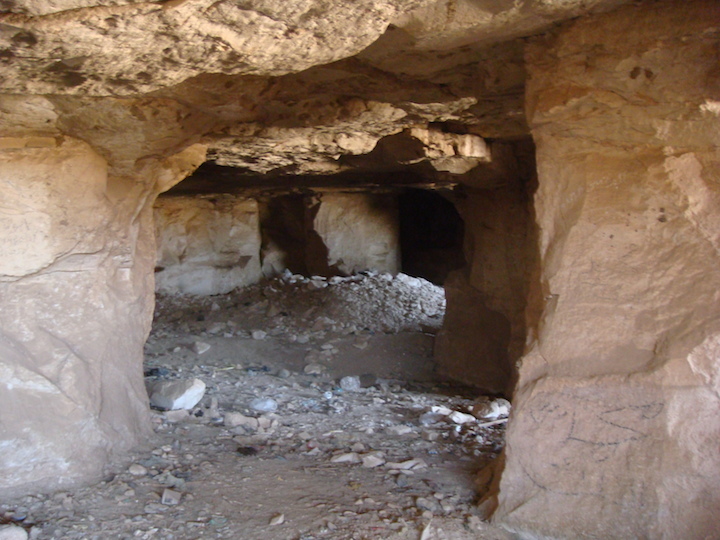 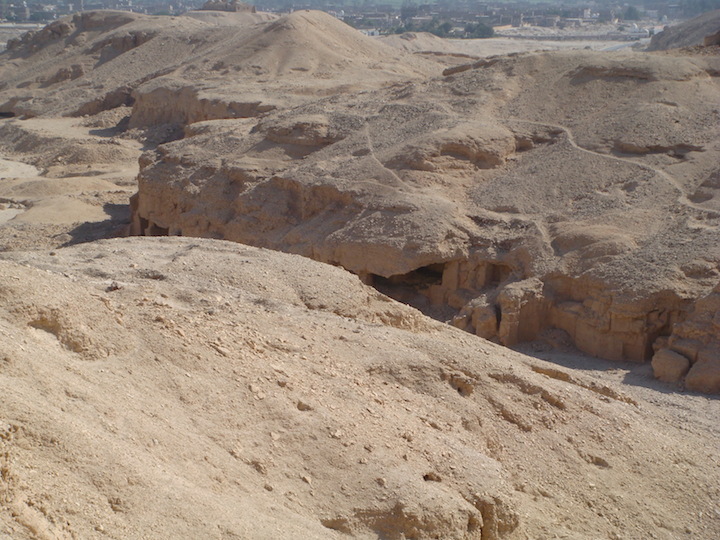 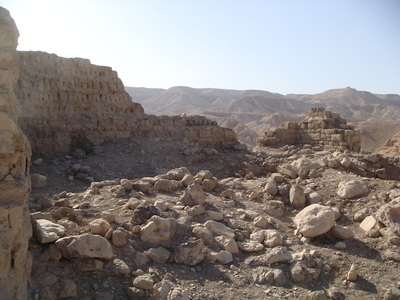 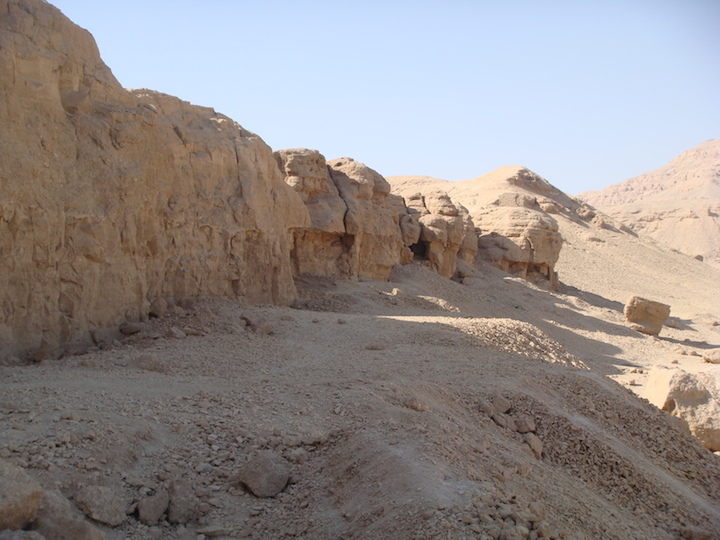 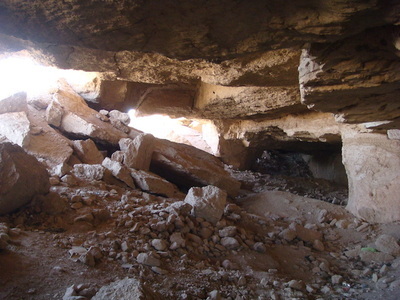 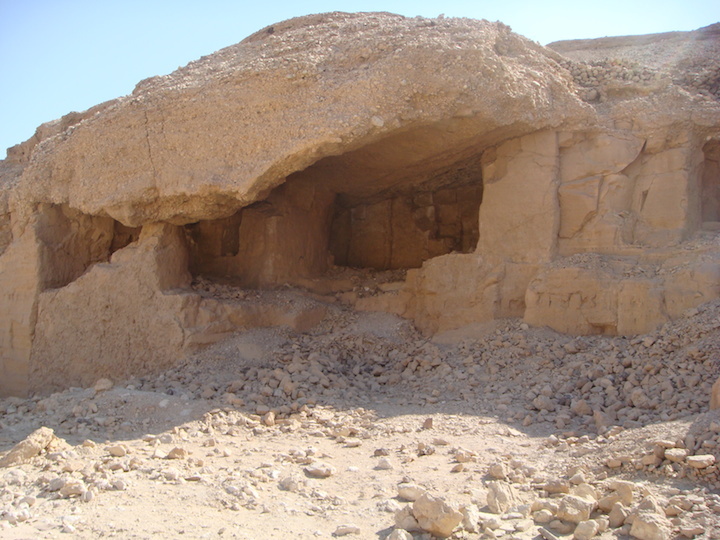 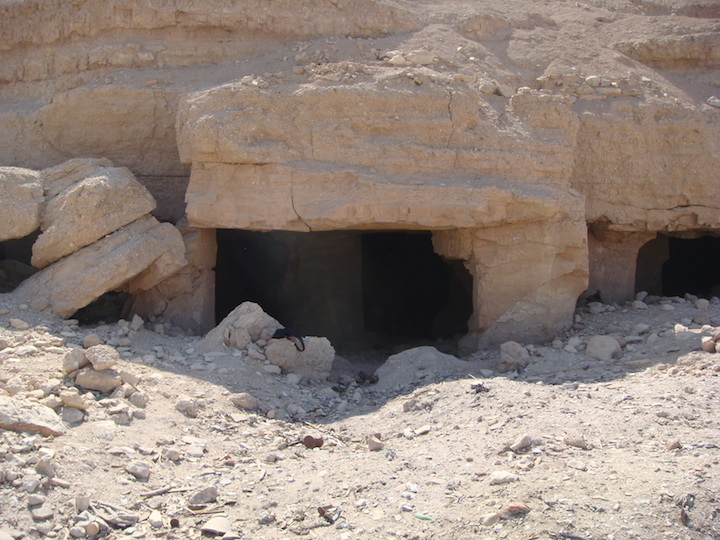 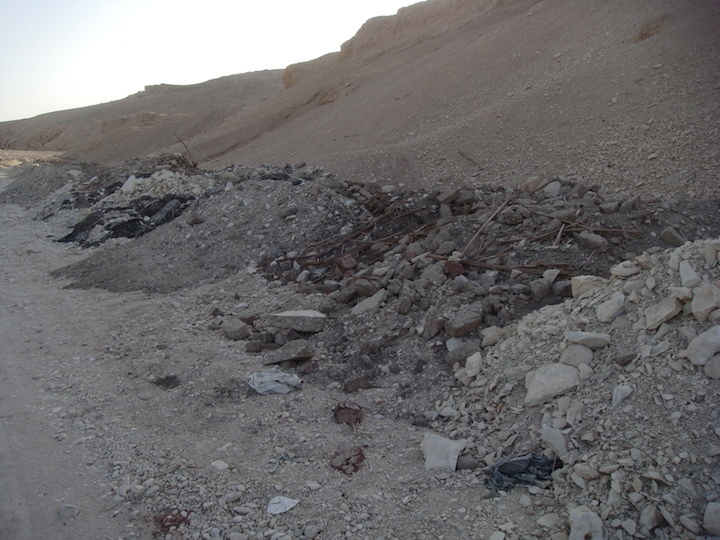 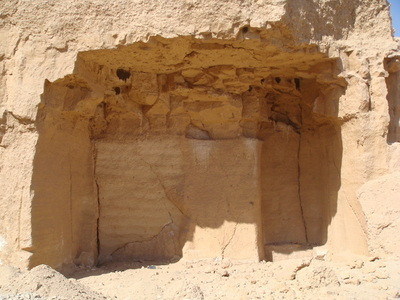 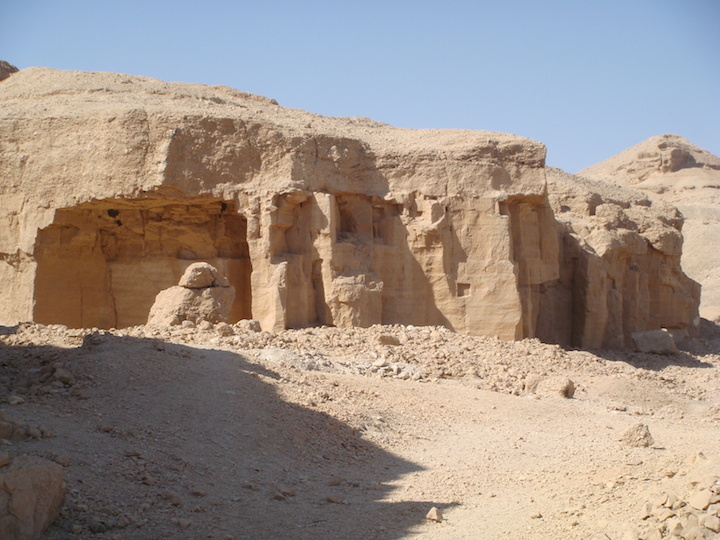 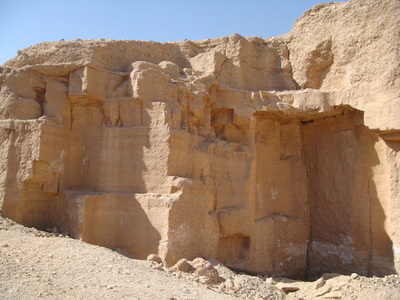 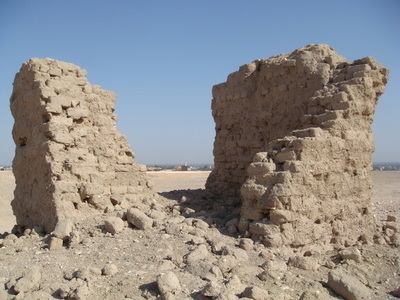 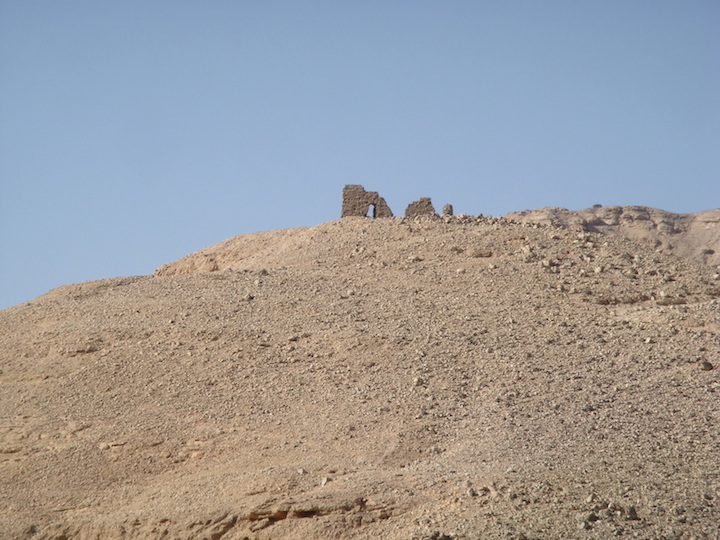 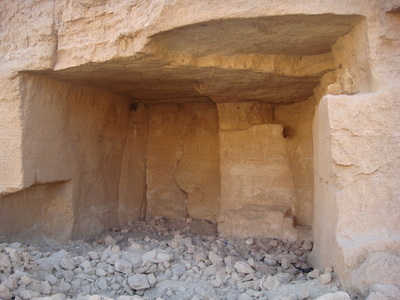 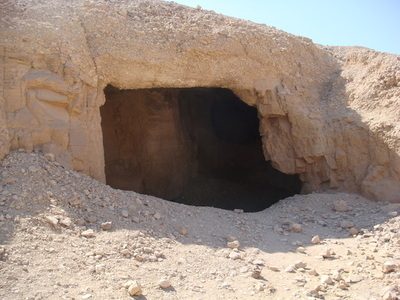 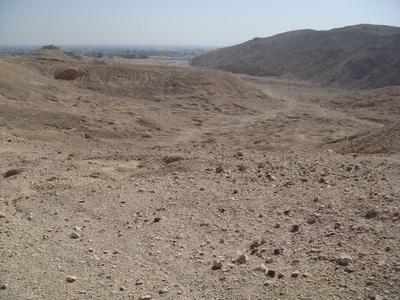 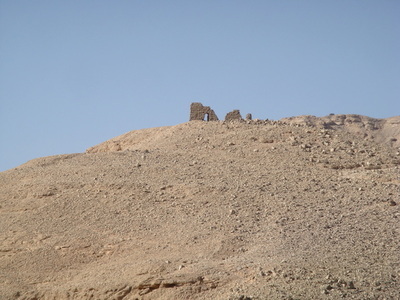 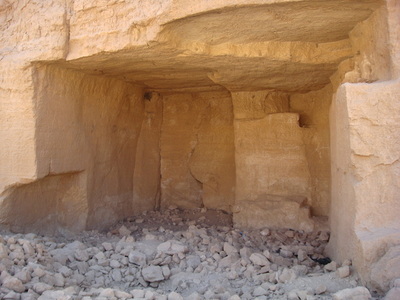 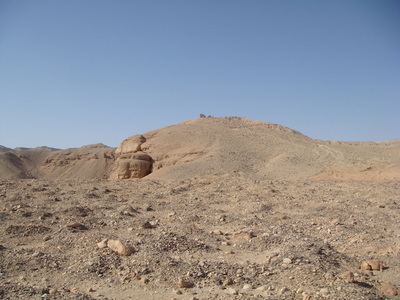 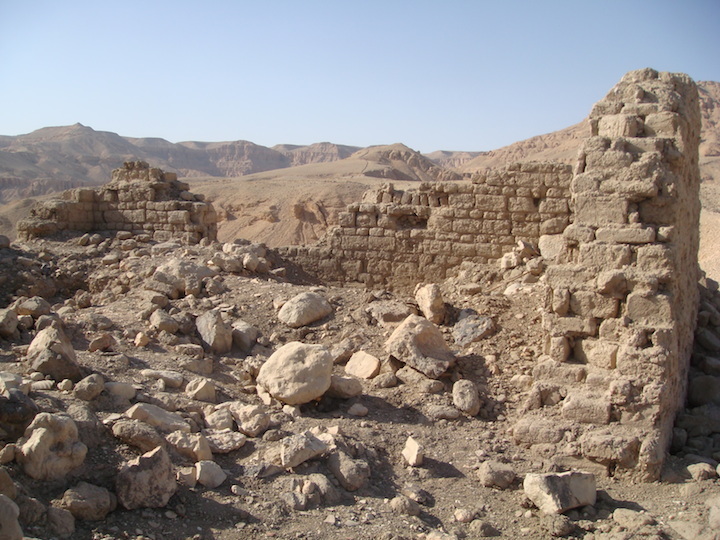 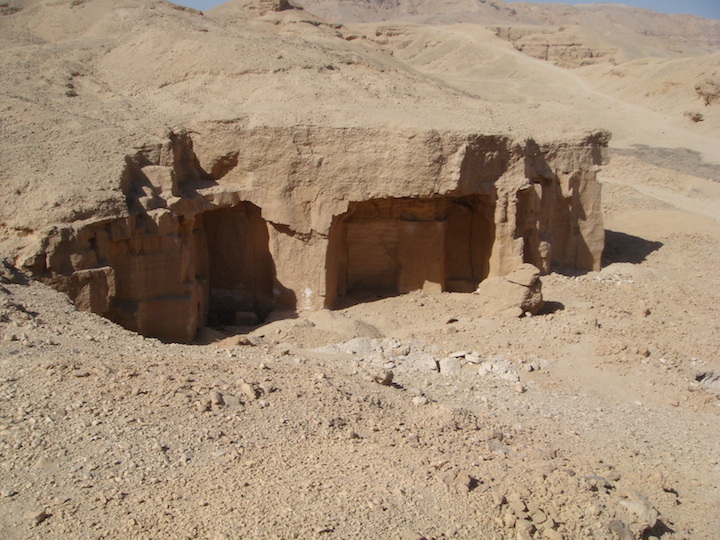 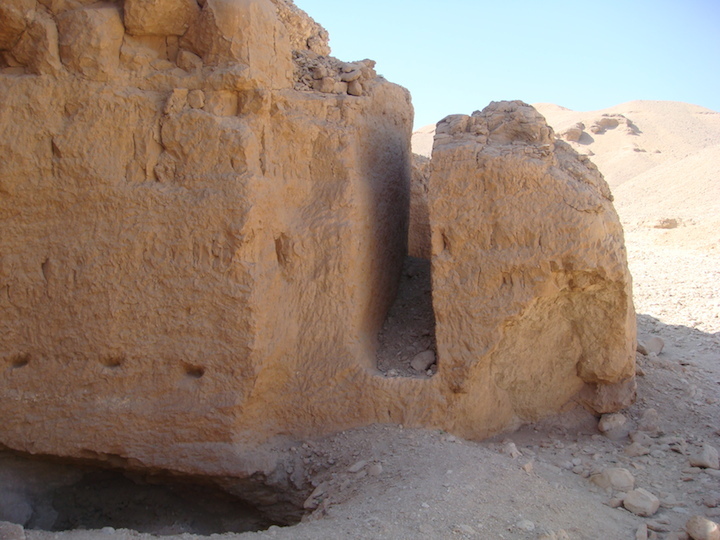 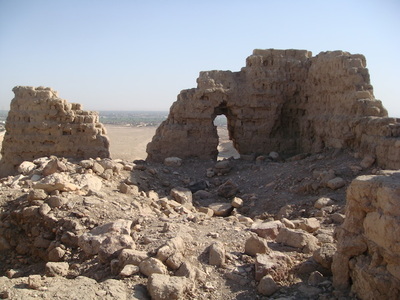 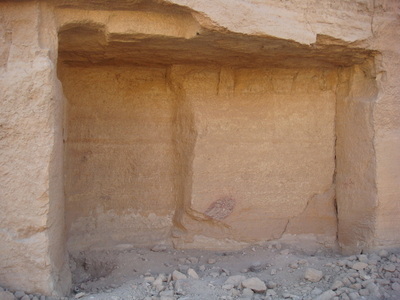 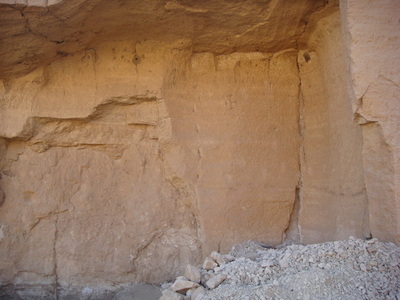 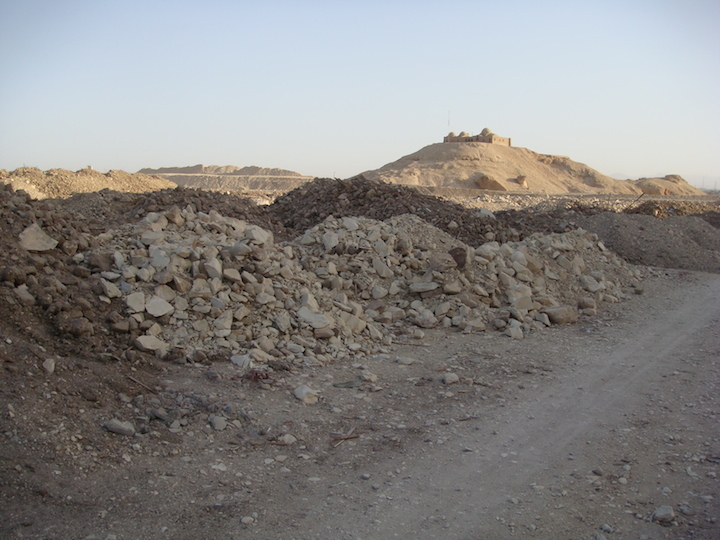 The Limestone Quarry is located in the Wadi el-Muluk /Melouk. 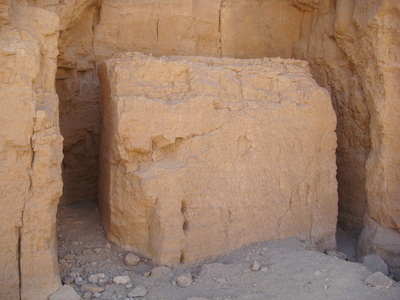 It dates from the New Kingdom and was in operation for about 150 years. 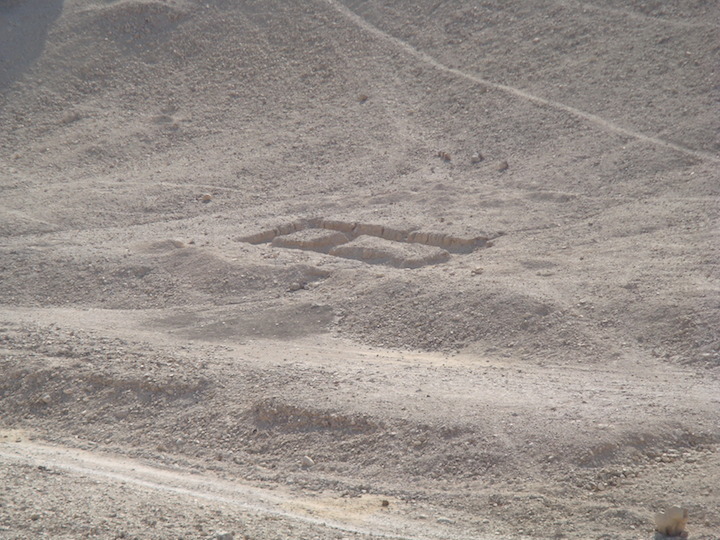 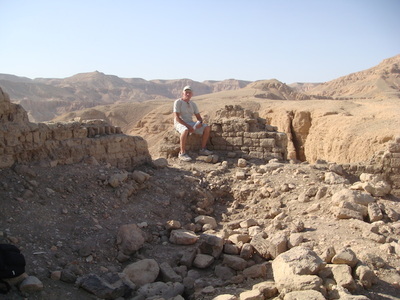 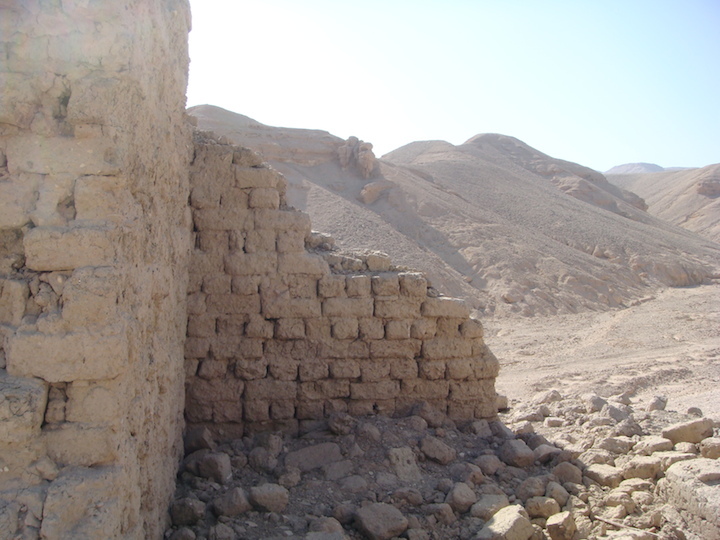 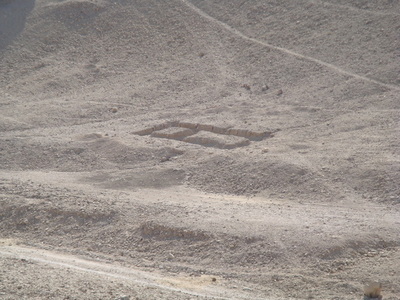 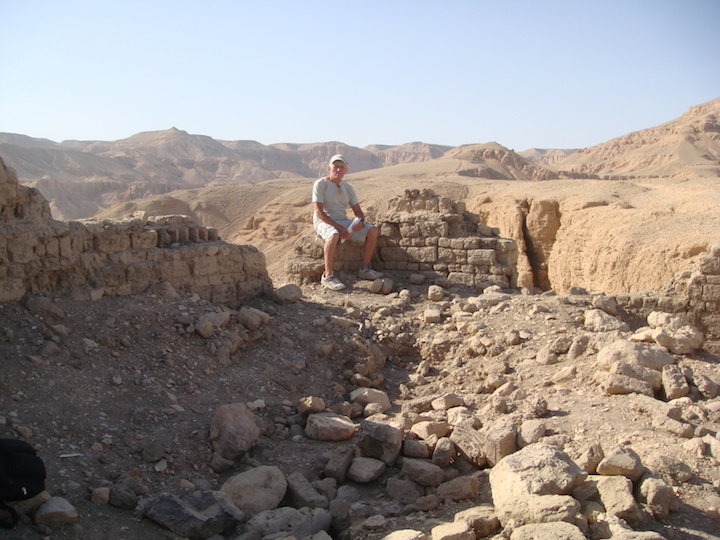 Stone blocks from this sight were used for the construction of Hatshepsut and Amenhotep III memorial temples. There are many hieratic inscriptions/graffiti within many chambers. 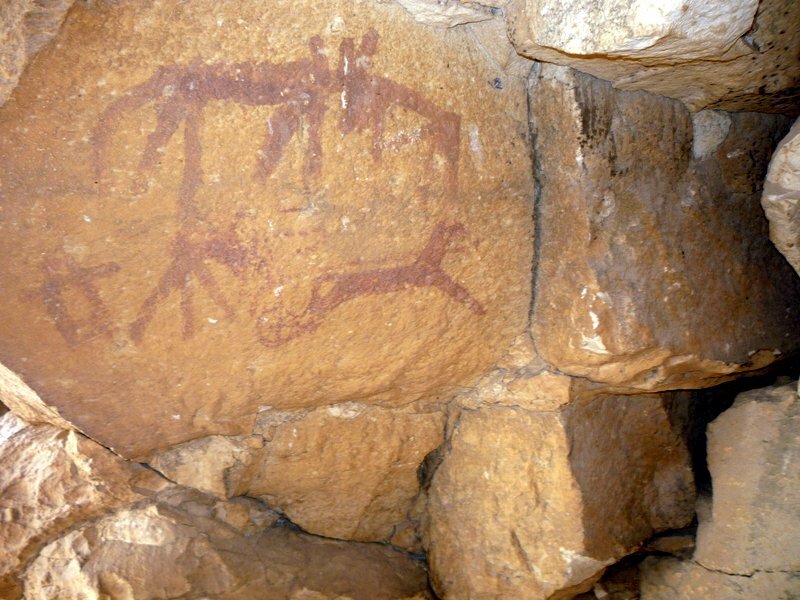 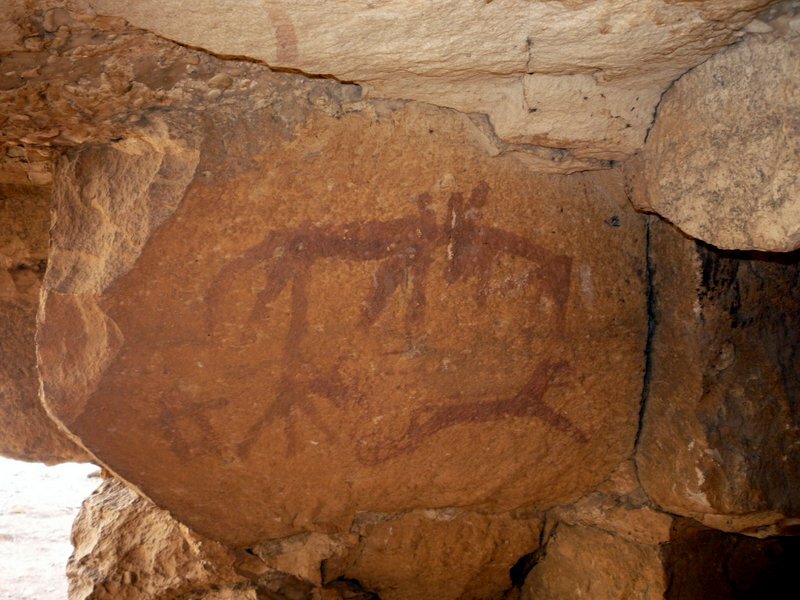 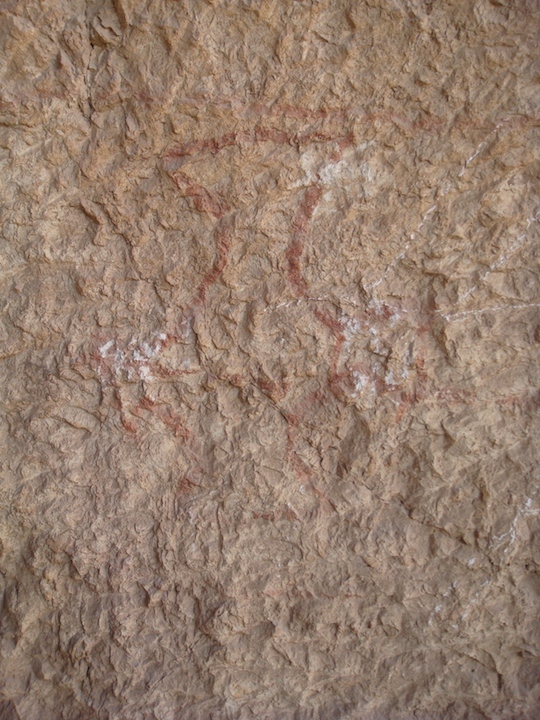 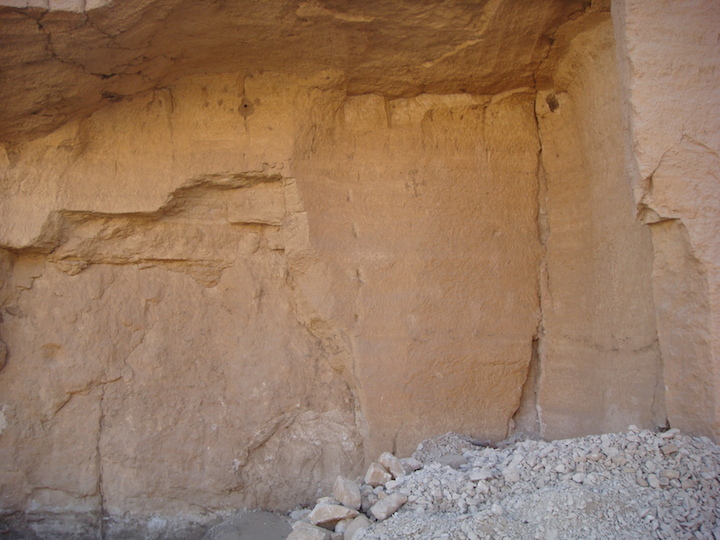 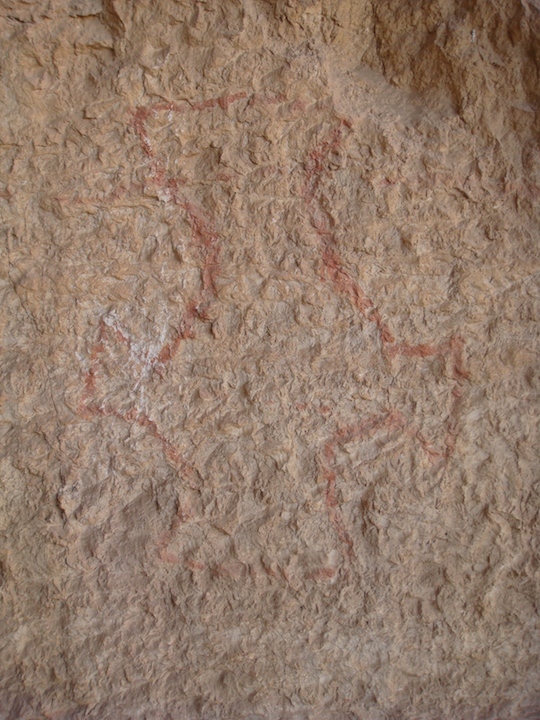 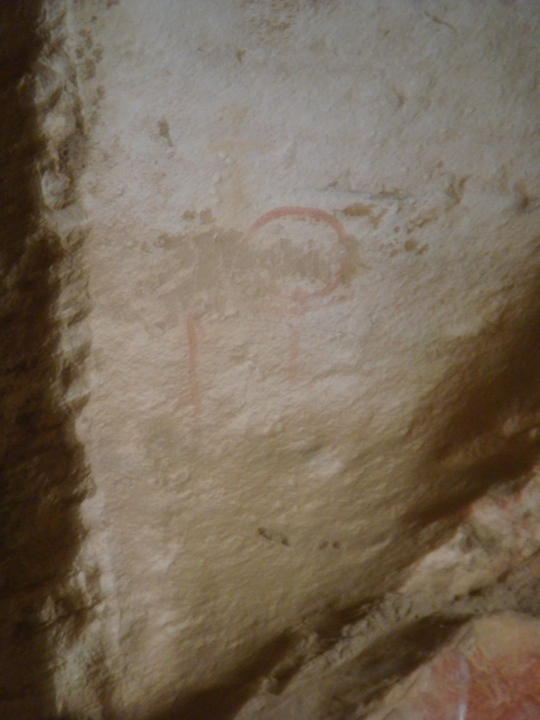 The inscriptions are quite faint now and there is possible evidence in one cave of an inscription being cut off and robbed and two others that look like they have been vandalized by being rubbed out. There is apparently a quarry cave up the small mountain nearby and facing west but I could not find it. 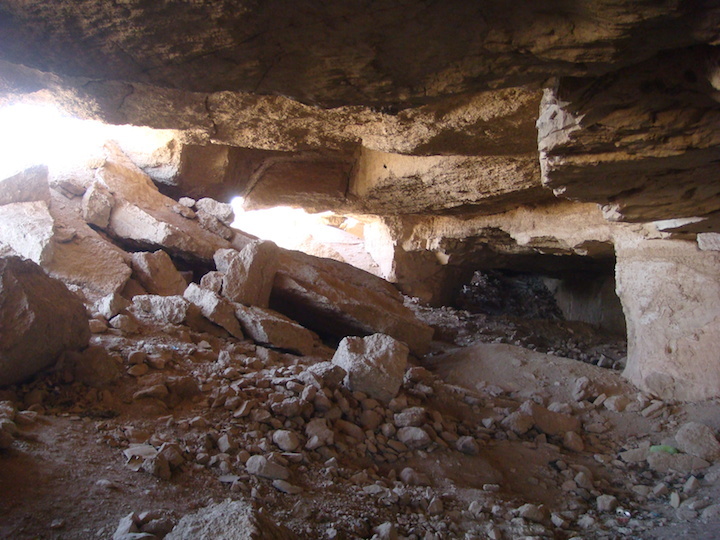 I did however; climb to a small ruin above the quarry caves and one on top of another mountain opposite in the hope of discovering this quarry cave. 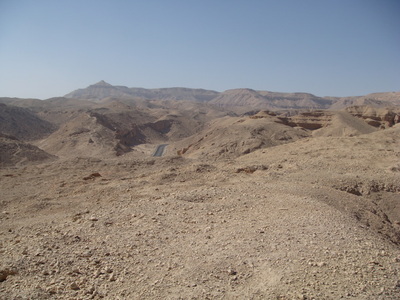 Although I personally found the exploring rewarding and worthwhile, I doubt it is worth a trip for the general tourist. 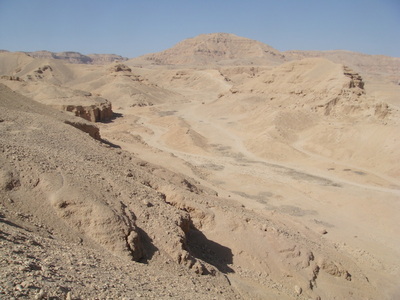 It is yet another wonderful off track place of beauty. 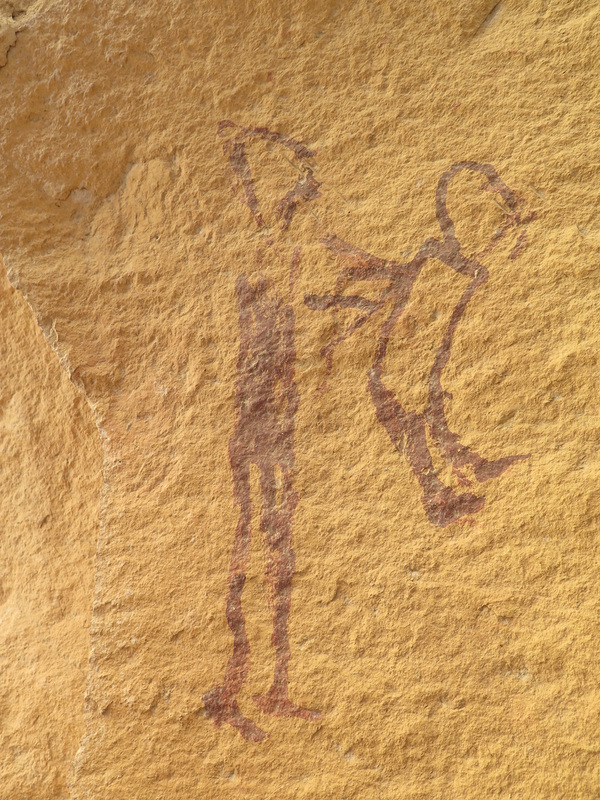 A possible hunting scene. 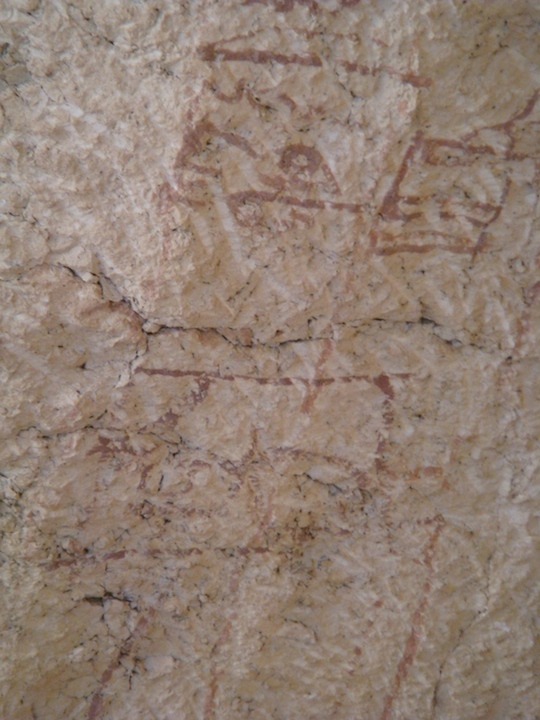 A man on a chariot, behind him there is a man with Bow and a further figure behind him. 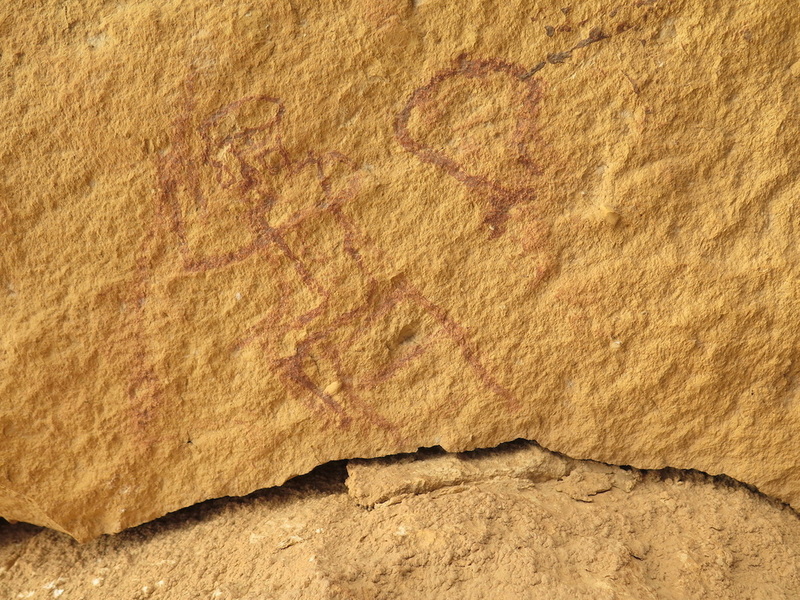 Possibly a man with feathered head dress and in a sitting position. 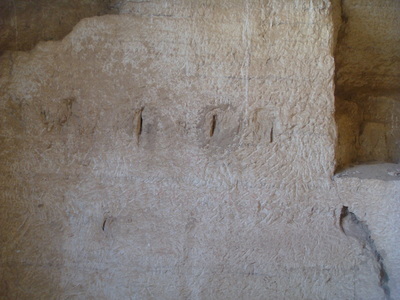 It looked like the inscription has been cut off possibly by robbers or has simply fallen off.